Instant-loading AMP Pages From Your Own Domain — Google are rolling out support for ‘signed exchanges’ in Google Search’s AMP web results. This enables displaying the publisher’s own domain when AMP content is loaded via search results. Kotlin Multiplatform for iOS Developers — Kotlin Multiplatform makes it easy to create cross-platform components. This tutorial leads you through all the steps required to set up Android Studio to build a framework you can import into Xcode. 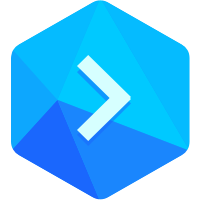 Get the Fastest App Deployments — Unlike most Continuous Integration (CI) solutions, Buddy only re-builds the parts of your application that have changed and deploys your updates in seconds to any app store. Start building better apps faster with Buddy. Don’t Start React with React Native — Highlights some problems that developers could face “should they decide to switch from React to React Native or vice versa”. Client-Side Storage in NativeScript Apps — Shows the variety of ways you can store client-side data in your NativeScript app. Engineering Dumb: Modern Mobile Thin Clients — A talk about building a complex feature at OkCupid that demonstrates a few design patterns to create remotely configurable layouts and behavior on-the-fly. Progressive Web Applications & Internet of Things — The first part in a series on using IoT with PWAs. Free Online Talk: Leadership Training for Engineers 4/23 — Join Big Nerd Ranch and guest speakers. The BBC and 5G — A series of articles on how the British Broadcasting Corporation (BBC) is investigating the potential of 5G mobile tech. Down The Rabbit Hole of iOS Design Patterns — Thoughts on alternatives to Apple’s Model-View-Controller design pattern.